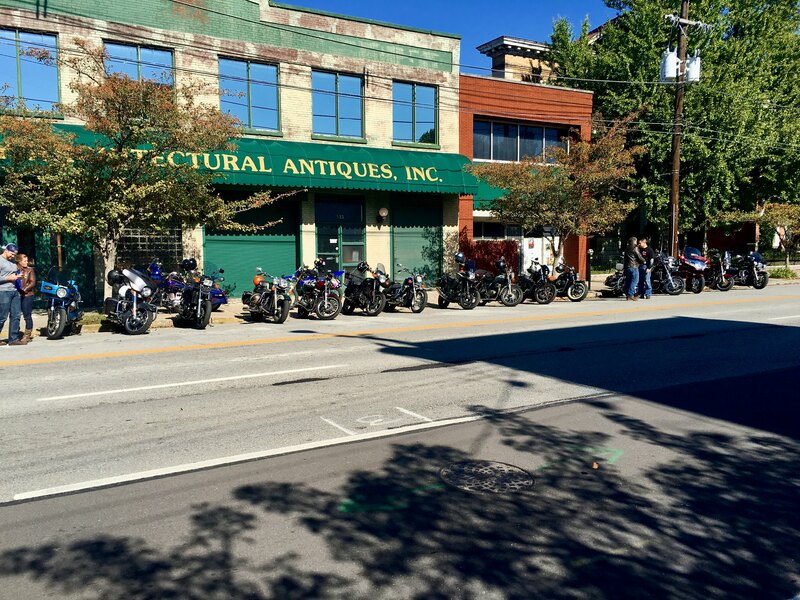 On Sunday, I met up with some friends to do a benefit ride for cancer. We rode about town, starting at 11 am, and eventually rolling into the garage at 7:30 or so. We hit up the Water Tower again, the Frankfort Avenue Beer Depot (great BBQ, btw), Against the Grain brewery for some of the best Bloody Mary’s in town, and technically ending at Harvest on Market. After that, some of us went over to Haymarket. We had upwards of 22 bikes and 3 chase vehicles and blockers. It was a great turnout and there were no accidents or other issues at all. I am always nervous riding with this many people, especially through town. Just glad it wasnt a busy day out there on the roads.